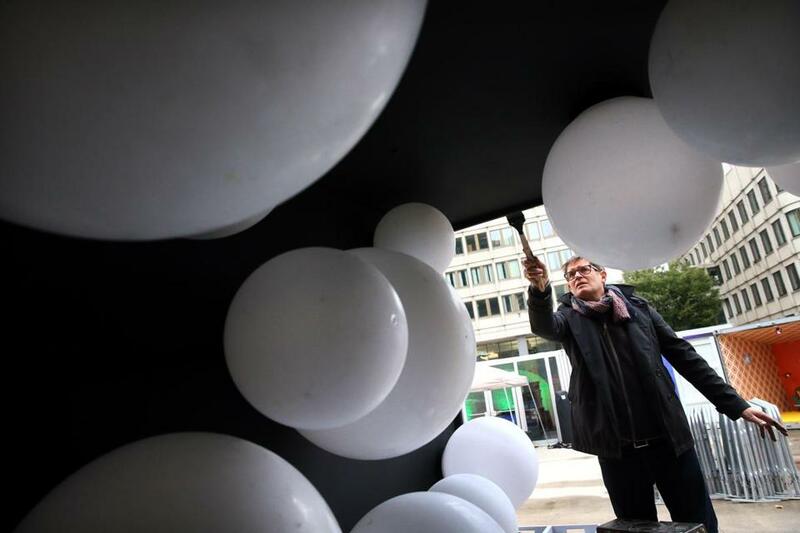 Artist Philippe Morvan worked on his installation “Glow-Bulles” at the Container Village at City Hall Plaza, where the fourth annual HUBweek festival kicked off on Monday. MIT Media Lab director Joi Ito introduced the fourth annual HUBweek festival by comparing human society to complex ecosystems and offering a faintly optimistic note: He hopes humans won’t suffer the equivalent of a mass extinction event. Ito gave the opening keynote Monday at the Change Maker Conference, a two-day event on City Hall Plaza anchoring HUBweek Monday and Tuesday. HUBweek organizers — drawing a mix of entrepreneurs, academics, artists, and activists — see the conference as a way to build connections between people from various fields with one broad goal: change. While HUBweek, founded by The Boston Globe, Harvard University, Massachusetts General Hospital, and MIT, is marking its fourth year, this is the first year for the Change Maker Conference. Now in its fourth year, the HUBweek festival brings together hundreds of events, installations, and conversations on art, science, health, and technology. Ito was followed on stage by Dr. Helen Riess of Massachusetts General Hospital, who called for increased empathy both in the medical field and between people of different backgrounds and cultures. Other speakers scheduled for Monday and Tuesday range from doctors to dancers, from venture capitalists to Rachael Rollins, who won the Democratic primary for Suffolk County district attorney promising to reform the criminal justice system. The diversity of speakers was a selling point to Dennis Jones, a cancer researcher at Boston University who attended the conference Monday with no specific agenda in mind. Instead, he said, he just hoped to learn something he didn’t know before. While many HUBweek events are free, others require a paid pass. And the Change Maker Conference required a separate registration. 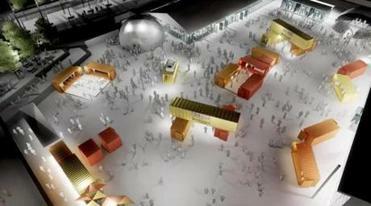 HUBweek organizers expect more than 50,000 people to take part in the week’s festivities, which continue through Oct. 14. On Monday morning, more than 100 people gathered for the Change Maker Conference; other events happening this week across Boston and Cambridge include presentations, exhibits, hackathons, films, and art exhibits.